The Honor Credit Union generously donated a sum of $600 to be used for the purchase of a classroom set of Spheros. 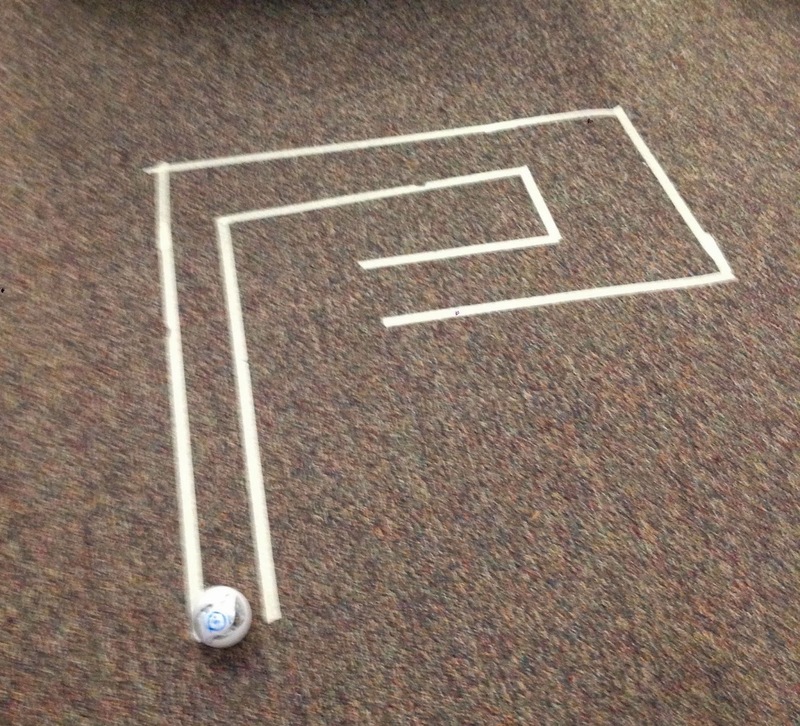 A sphero is small, white ball that is a robot. It connects via bluetooth to your smartphone or tablet and is supported by over 30 free apps available in iTunes or the Google Play Store. Recently John and I took our new toys into Stephanie Lear's 3rd grade classroom at Brown Elementary in St. Joseph. Her class had used the sphero in small groups for a few days to understand how you could drive the robot before we arrived. We introduced the app Orb Basic and the coding language behind sphero. Her students had written some code and begun to learn about the properties of code using the website Purple Mash to celebrate the National Week of Code. Once the students were organized in small groups and had received their sphero and iPad, John and I shared the first program with them to write. 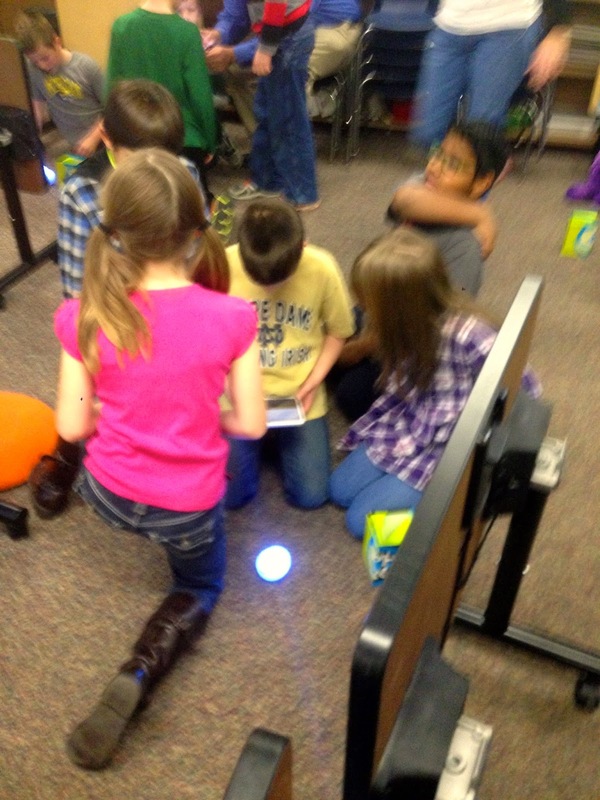 We used the Orb Basic Lesson One found on the Sphero education pages. The students copied and then executed the first program which made the sphero roll forward at speed 50 (of 255) for two seconds, then roll back at a speed of 50 for two seconds. Now that the students had a greater understanding of the basic code commands we challenged them to adjust the code jump one of the ramps we had brought with us. As a final challenge we set up a small maze that we asked students to code their way through. While no one was able to complete the task it was really powerful to see the kids engaged, working together, and learning. We look forward to bringing this type of learning to your building! Very nice article! This article includes very good information. Thanks for sharing this information.